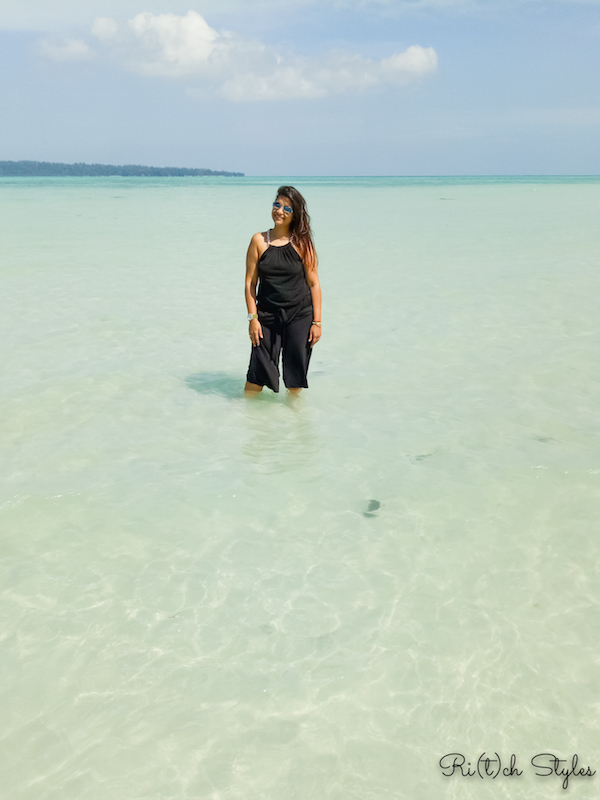 Ri(t)ch Styles : Indian Fashion, Beauty, Lifestyle and Mommyhood Blog: Godrej Aer Twist - A Happy Car Story! Godrej Aer Fresheners is a range that I have been using for my home for the longest time and my favourite till date have been the Aer pockets that I use for my bathrooms. 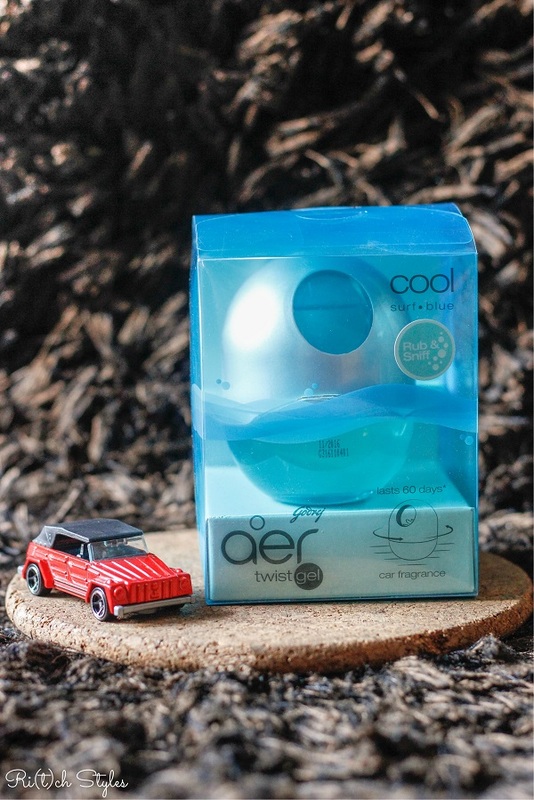 The latest addition to my usage is this new Godrej Aer Twist - Car Freshener and it only makes me happy to see that Godrej is making further efforts to introduce a wider range of innovative, stylish and great smelling products, especially perfumes for car usage. 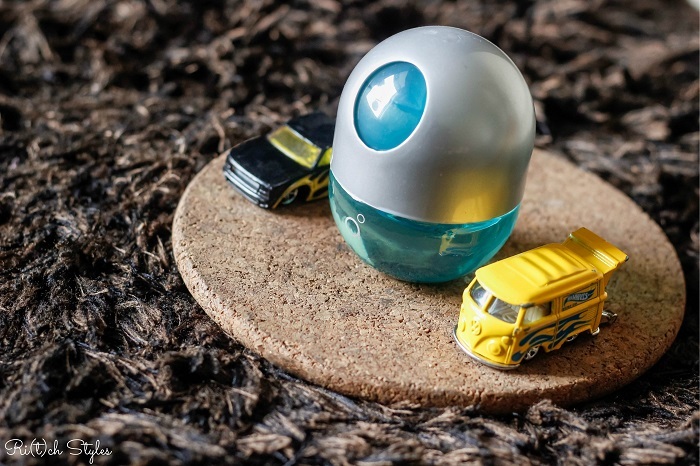 Since I was using the home fragrances from a long time, there was no second thought when I had to pick up the car freshener. The Cool Surf Blue variant is inspired by the smooth sea breeze flowing over coral reefs in Mauritius. It is mild yet fresh with aqua tones to it. It comes with a clever gel based technology, which means it is spill proof. Thus I don't have to constantly keep worrying about it spilling off or leaking on bumpy roads. It also doesn't melt in the hot sun so that too gives it a brownie point from my side. 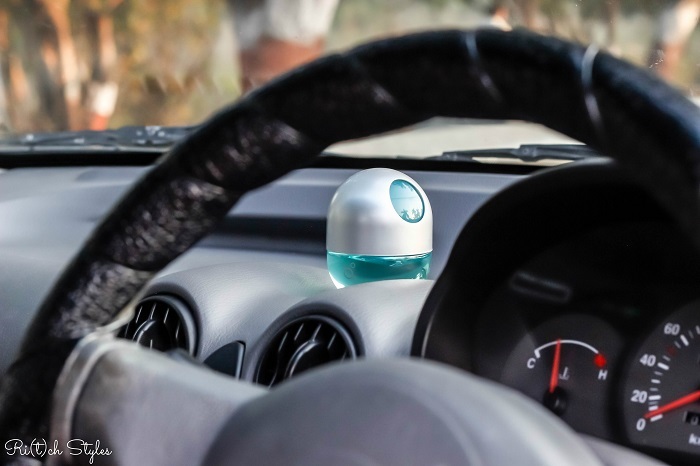 It comes with an easy twist mechanism that you can use to control the flow of fragrance or turn off while you are done using the car. Twist to turn it on, twist to turn it off. When Aryaa eats something while we are out, I tend to leave it open even when the car is not being used so that it continues to battle any unwanted odour that may arise. It contains 45 grams of gel and claims to last for 60 days which is something that I am still observing. The Godrej Aer Twist comes in five different designer fragrances and if you are buying it from a store, you can also rub the patch on the box to get an idea of the fragrance. This is a great idea because I haven't found this in other products that you find it the market. It makes the buying decision a lot easier. 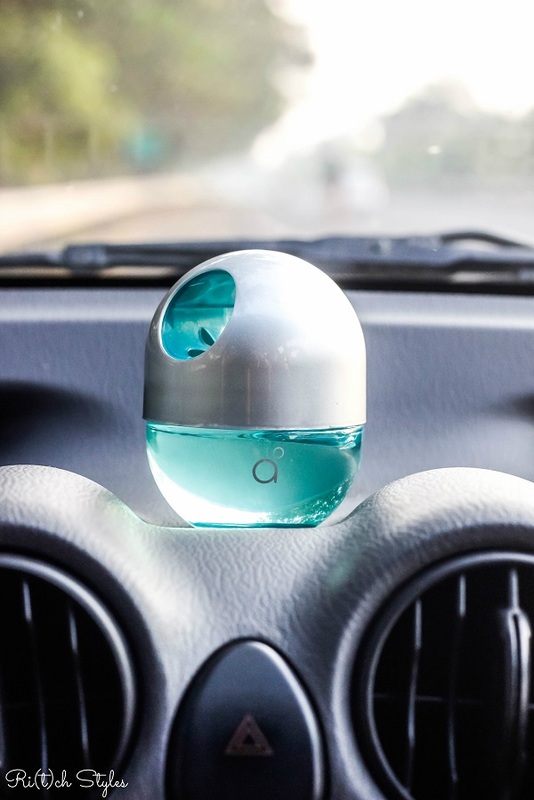 I love the design as well and it looks great on my dashboard, but for people who don't want to put it on the dashboard, it fits nicely into the cup-holder in the car as well.